With the Fourth of July holiday just behind us, civil rights history was recently made and unmade in Washington. We applaud the United States Supreme Court for striking down the Defense of Marriage Act (DOMA) and extending equal protection for all legal marriages in America, regardless of gender. The United States Senate also made history by voting to create a path to citizenship for millions of people who may have entered the country illegally but have been working, going to school, obeying the law, raising families and living in the shadows for years. Both of these decisions move us closer to the dream of “Life, Liberty and the pursuit of Happiness” for all Americans, including African Americans and other people of color. But as we near the 50-year celebration of the height of the Civil Rights Movement, the Supreme Court took one step sideways and one step back regarding affirmative action in Fisher v. University of Texas and voting rights in Shelby v. Holder. There is no unalienable right more fundamental to our democracy than the right to vote. Yet, last week, the Supreme Court made a tragic decision by ruling that Section 4 of the Voting Rights Act is unconstitutional. For the purpose of providing stringent remedies where appropriate, Section 4 established a formula to identify those areas in the country where racial discrimination has been most prevalent. Section 4 is the foundation upon which Section 5 stands, which requires states or local governments with a history of voting discrimination to get approval from the federal government before making any changes to their voting laws or procedures. While the ruling did not invalidate the principle that preclearance can be required, it held that Section 4 can no longer be used virtually rendering Section 5 ineffective unless and until Congress creates a new formula to determine which states and counties should be covered by it. The Voting Rights Act was necessary in 1965 and remains so in 2013. If the voter suppression tactics employed by numerous states in the 2012 elections aren’t evidence enough, consider that in the first four months of this year alone, restrictive voting bills have been introduced in more than half the states. In fact immediately after the Supreme Court’s Voting Rights decision, Texas declared it would now implement the voter ID law that had previously been ruled discriminatory. The state is also considering implementing a 2011 redistricting plan that was found by federal judges to discriminate against the states minority voters. Other states may follow suit. This decision is a direct blow to 50 years of progress towards voter equality and to the dream that Dr. Martin Luther King, Jr. so passionately and purposefully shared with us in 1963. As Georgia Congressman John Lewis, who was brutally beaten during the Selma to Montgomery march that led to the passage of the Voting Rights Act of 1965 put it: The Supreme Court put a dagger in the heart of the law. But Dr. Kings dream still lives today. We must remain as vigilant as ever in defending and protecting the rights for which so many foot soldiers of the Civil Rights Movement fought and died. The National Urban League is urging Congress to abandon partisanship and act immediately in the best interest of our nation and our democracy by enacting a new and responsible formula for Section 4. Conversely, we consider the Supreme Court’s action in remanding Fisher v. University of Texas to the U.S. Court of Appeals for the 5th Circuit a temporary victory. Because the court did not overturn the central premise of affirmative action, universities may still consider racial and ethnic diversity as one factor among others in their admissions policies. However, this case is not over, and its merits and future implications cannot be overestimated on either side. As the issues will be reconsidered in the lower court, the possibility exists that the case could return to the Supreme Court within the next couple of years. Those who malign affirmative action as an entitlement or reverse discrimination ignore the present-day inequity that denies millions of Americans true opportunity. Affirmative action is rooted in fairness and equal opportunity – nothing could be more in keeping with our founding principles as a nation. The Fourth of July Independence Day was a time to celebrate our rights as Americans. So it is only fitting that this year, we also rally in support of voting rights and equal opportunity as fundamental principles of our democracy. For our part, the National Urban League movement will continue efforts to ensure that every American has a fair and equal opportunity to vote. This will be a key platform during our planned events in recognition of the 50th Anniversary of the March on Washington next month. On Friday, August 23 in Washington, D.C., the National Urban League will join Harry Johnson and The Memorial Foundation as they convene a “Drum Majors for Justice Celebration” that will be free and open to the public, featuring legacy leaders and torch-bearers of the Civil Rights Movement discussing our progress over 50 years and the challenges ahead. 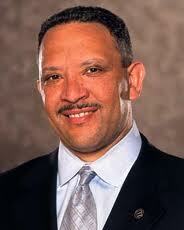 On August 24, we will join Melanie Campbell, Ben Jealous and Labor leaders, as well as Rev. Al Sharpton, in supporting the “50th Anniversary March on Washington: Realize the Dream” rally and march. These events look back at where we have come and also look forward to the work that still lies ahead. As I have said many times, when it comes to guaranteeing the basic rights at the heart of our democracy, there can be no commemoration without continuation. For more information on the 50th Anniversary/March on Washington activities, visit www.DrumMajorsForJustice.com. 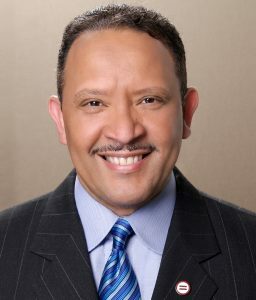 (Marc H. Morial, former mayor of New Orleans, is president and CEO of the National Urban League).